The Bishop of Oxford was born in Manchester, educated at Arnold School, Blackpool and St Peter's College, Oxford (Law), and went on to read Theology at Cambridge and Durham. 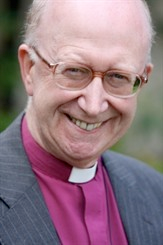 Bishop John was a Curate in central Birmingham, the Diocesan Youth Officer in Somerset, a Vicar in Taunton, Warden of Cranmer Hall, Durham, Archdeacon of Canterbury, and Bishop of Jarrow (Diocese of Jarrow), prior to becoming the Bishop of Oxford in 2007. Bishop John is a prolific writer, and author of twelve books on aspects of Christian belief and practice. He is also Chair of Church of England Board of Education, President of St John's, Durham, a board member of the Church Army, SPCK, and St George's House, Windsor. Bishop John presented the first object, 'the Cross', on the 5th September 2011 in Deddington Parish Church. 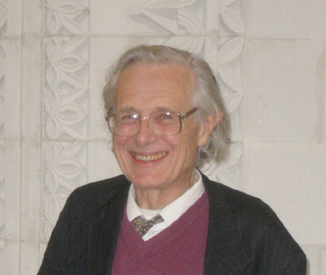 James Dunn is Emeritus Lightfoot Professor of Divinity at the University of Durham, where he taught from 1982 (previously at the University of Nottingham). He has a PhD and a DD from Cambridge, and is a Fellow of the British Academy (FBA). He has authored over twenty monographs, including Baptism in the Holy Spirit, Jesus and the Spirit, Unity and Diversity in the New Testament, Christology in the Making, The Partings of the Ways, The Theology of Paul the Apostle, The New Perspective on Paul, A New Perspective on Jesus, New Testament Theology: An Introduction, Did the First Christians Worship Jesus?, Jesus, Paul and the Gospels, and commentaries on Romans, Galatians, Colossians and Philemon, and Acts. He has completed two volumes of a trilogy on Christianity in the Making: Vol. 1. Jesus Remembered; Vol. 2. Beginning from Jerusalem, and is working on the third. His doctoral pupils teach in many different parts of the world. He is married to Meta (they have three children) and functioned as a Methodist Local Preacher for forty years. They have now retired to Chichester to be nearer their daughters. Professor Dunn presented the second object in the series, the Codex Sinaiticus, on 29th September 2011 in Deddington Parish Church. 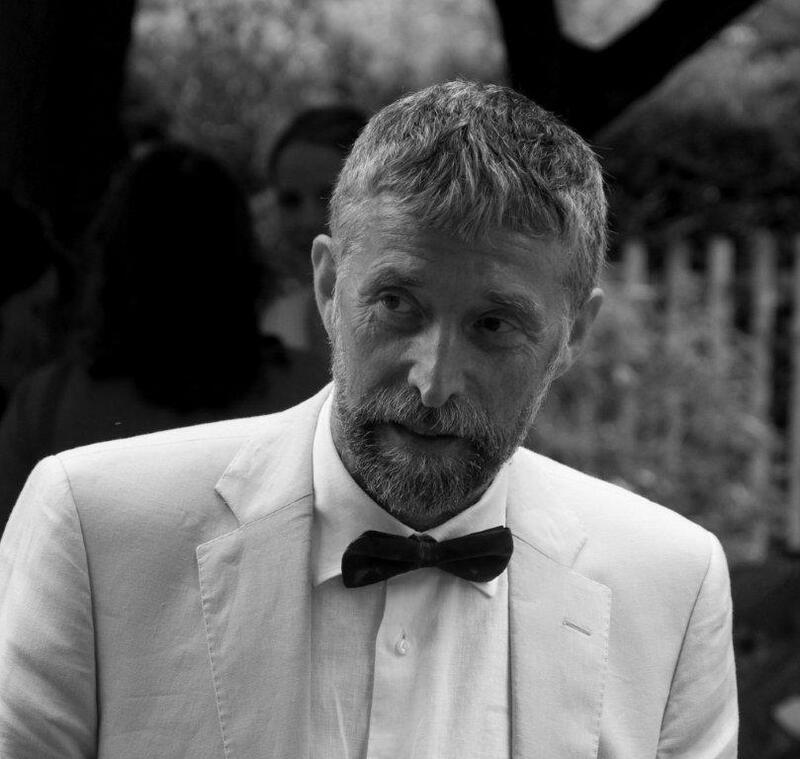 The Revd Dr Simon Jones is Chaplain and Research Fellow of Merton College, Oxford. He is a member of the Faculty of Theology in the University of Oxford, and teaches liturgy there and at St Stephen's House, Oxford. He is a member of the Church of England Liturgical Commission and also chairs the Oxford Diocesan Liturgical Committee. His research interests include the Syrian baptismal tradition, eucharistic presidency, the liturgist Dom Gregory Dix, and the development of marriage rites. Dr Jones presented the third object in the series, a Byzantine marriage crown, on 3rd November 2011 in Deddington Parish Church. 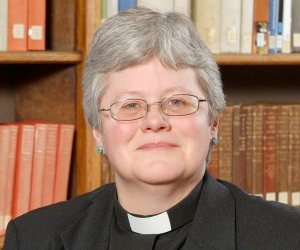 Judith Maltby has been Chaplain and Fellow of Corpus Christi College, Oxford, since 1993. Born and raised in the United States, she attended the University of Illinois, graduating with a double major in English and history. She then went on to doctoral studies in early modern British history at the University of Cambridge, first at Wolfson College and then as a Junior Research Fellow at Newnham College. Dr Maltby taught church history for a number of years in a Anglican theological college in Salisbury, preparing men and women for ordination in the Church of England. She was among one of the first cohorts of women ordained priest in the Church of England in 1994. She has held visiting fellowships at Trinity College, Melbourne and the Folger Shakespeare Library in Washington and is an honorary canon of Leicester and Christ Church cathedrals. Made Reader in Church History by the University in 2004, she was Junior Proctor of the University in 2004-5. She has recently stepped down from being Honorary Secretary of the Church of England Record Society. 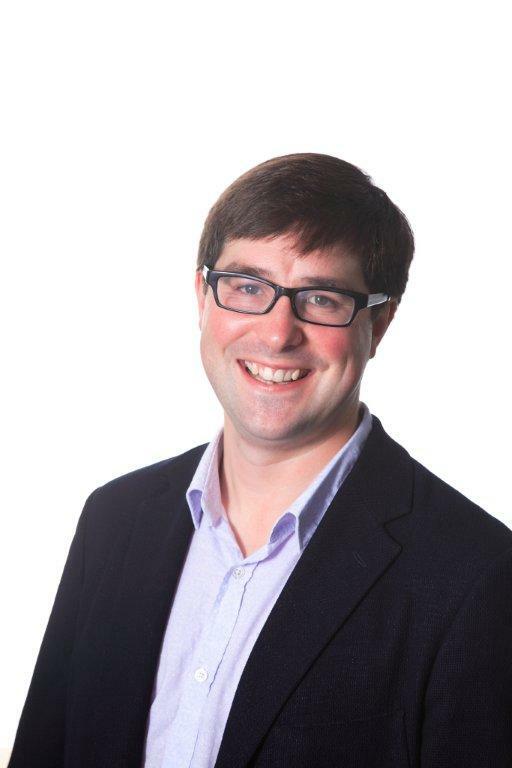 Dr Maltby is part of an AHRC funded steering group, The Early Modern Worship Network. She is currently Tutor for Graduates. 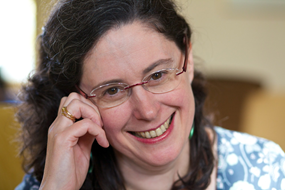 In addition to her academic publications, Dr Maltby is an occasional contributor on contemporary religious issues for BBC Radio 4 and for The Guardian. Canon Maltby presented our fourth object, the Book of Common Prayer, on 28th November 2011 in Deddington Parish Church. Former Reader in Syriac Studies, University of Oxford and Professorial Fellow at Wolfson College, Oxford. Sebastian Brock is one of the foremost and most influential academics in the field of Syriac language today. He is a former Reader in Syriac Studies at the University of Oxford's Oriental Institute and currently a Professorial Fellow at Wolfson College. He is a Fellow of the British Academy. Dr Brock completed his BA degree at the University of Cambridge, and a DPhil at Oxford. He is the recipient of a number of honorary doctorates and has been awarded the Medal of Saint Ephrem the Syrian by the Syriac Orthodox Patriarch and the Leverhulme prize and medal of the British Academy. He is a widely published author on Syriac topics. His best selling books are The Luminous Eye: The Spiritual World Vision of Saint Ephrem the Syrian (Kalamazoo: Cistercian Publications) and The Syriac Fathers on Prayer and the Spiritual Life (Kalamazoo: Cistercian Publications). Dr Brock presented our fifth object, a sixth-century lectern from Syria, on 8th December in Deddington Parish Church. Sarah Foot is the Regius Professor of Ecclesiastical History and the Chairman of the Theology Faculty Board in Oxford (effectively Head of Department). Born in London, she went to school in Manchester and read Anglo-Saxon, Norse and Celtic and then History at Newnham College, Cambridge, where she also studied for her PhD on early Anglo-Saxon monasticism. After holding a research fellowship at Gonville and Caius college in Cambridge she was appointed to the History Department at the University of Sheffield in 1993, becoming Professor of Early Medieval History in 2004; she came to Oxford in 2007. She has published widely on the history of the Anglo-Saxon church including Veiled Women (2000), Monastic Life in Anglo-Saxon England 600-900 (2006) and numerous articles. Her life of the first king of all England, �thelstan was published in the series Yale English Monarchs in May 2011. Canon Professor Sarah Foot presented our sixth object, a gold strip with inscription found in the Staffordshire Hoard, on Thursday, 19th January in Deddington Parish Church. Averil Cameron was Warden of Keble College, Oxford until 2010 and previously taught at King's College London, where she was the first Director of the Centre for Hellenic Studies. She is a notable historian of Byzantium and has published many books and articles, including The Byzantines (Wiley-Blackwell, 2006) and The Mediterranean in Late Antiquity, 2nd ed. (Routledge, 2011). She is also the co-editor with Robert Hoyland of Doctrine and Debate in the East Christian World, 300-1500 (Ashgate, 2011). She was a contributor to the radio series and book A History of the World in One Hundred Objects, on the Hinton St Mary mosaic, from a Roman villa in Dorset and possibly one of the earliest depictions of Christ. Dame Averil Cameron presented our seventh object, Icon of the Triumph of Orthodoxy, on Thursday, 9th February in Deddington Parish Church. Johannes Schilling is Professor of Church History and Christian Theology at the University of Kiel in Germany, and is one of the world's leading experts on the life and work of Martin Luther and the European Reformation. Having studied at the Universities of G�ttingen, Zurich, Vienna, and Munich, Professor Schilling has taught at Marburg and G�ttingen, and joined the Faculty of Theology at the Christian-Albrechts University in Kiel in 1993 in his current role. Since arriving in Kiel, Professor Schilling has also performed the roles of Dean of the Faculty and Vice-President of the University. He is currently Director of the Luther Society. Since 1991, Professor Schilling has also been a pastor in the Evangelical Church of Electoral Hesse-Waldeck. Professor Johannes Schilling presented our eighth object, Stone rose from Martin Luther's house, Wittenberg, on Thursday, 8th March in Deddington Parish Church. Sarah Apetrei is Departmental Lecturer in Ecclesiastical History in the Theology Faculty at the University of Oxford, with research and teaching interests in the period after the Reformation in the British Isles: especially the changing status of women, and currents of prophecy and mysticism in the Protestant churches. Her book, "Women, Feminism and Religion in Early Enlightenment England", was published by Cambridge University Press in 2010. She has been in Oxford far longer than she ever planned to be, having arrived as a graduate student in 2001 and stayed on through various degrees and research projects, but has slowly and surely made it a home, together with husband Marius. Prior to that, she grew up in vicarages in North London and the Black Country, and studied History at the University of York. Dr Sarah Apetrei presented our ninth object, Mad Meg, by Peter Brueghel the Elder (1562), on Thursday, 22nd March in Deddington Parish Church. Xenia Dennen read Russian at Oxford and in the 1960s helped found Keston Institute (then called Keston College) with Canon Michael Bourdeaux, its first Director and now its President. In December 2002 she became Keston's chairman. 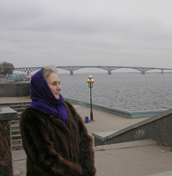 For the past 12 years she has participated in the fieldwork for Keston's Encyclopaedia about the contemporary religious situation in the Russian Federation. This work has taken her to many far-flung corners of Russia - to Siberia, Russia's Far East and Far North - where she has encountered the extraordinary variety which forms Russia's religious make-up today. Mrs Xenia Dennen presented our tenth object, a spoon from the Solovetsky Islands, on Thursday, 19th April in Deddington Parish Church. 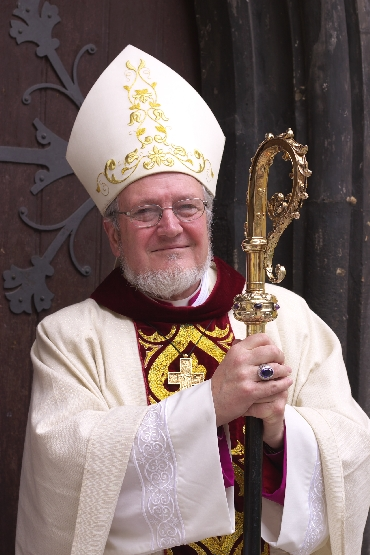 Dr Geoffrey Rowell has been the third Bishop of Gibraltar in Europe since 2001. For many years he was Chaplain and Fellow in Theology at Keble College, Oxford, and, from 1994 until 2001, was the Bishop of Basingstoke in the Diocese of Winchester. He was written widely on the Oxford Movement, and with Rowan Williams and Kenneth Stevenson was an editor of Love's Redeeming Work (Oxford University Press), an important compendium of Anglican spiritual writings from across the centuries. The Rt Rev'd Dr Geoffrey Rowell presented our eleventh object, the Spectacles of John Keble, on Thursday, 10th May in Deddington Parish Church. William Whyte has been a fellow of St John's for ten years. Prior to that, he was an undergraduate and then a graduate student at Wadham College, Oxford. He is the author of Oxford Jackson: architecture, education, status and style, 1835-1924 (2006) and co-editor of four other books, including The Established Church: past, present, and future (2011) and Redefining Christian Britain: post-1945 perspectives (2007). 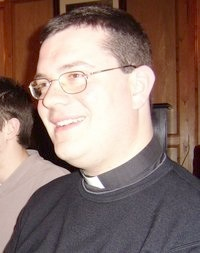 He is also an associate priest in the parish of Kidlington with Hampton Poyle. The Rev'd Dr William Whyte presented our twelfth object, Colenso's Printing Press, on Thursday, 7th June in Deddington Parish Church. George Pattison has been Lady Margaret Professor of Divinity at the University of Oxford and a Canon of Christ Church Cathedral since 2004. After 14 years as a parish priest he was Dean of King's College Chapel, Cambridge for 10 years before moving to Denmark (2002-3), where he taught Practical Theology. He has published widely on theology and art, and modern religious thought, especially Kierkegaard, Dostoevsky and other existentialist theologians. His books include Crucifixions and Resurrections of the Image and God and Being. Canon Professor George Pattison will present our thirteenth object, the First World War Burial Cross of 2nd Lieutenant W.S. Gardner, on Saturday, 28th June at 19:30 in Deddington Parish Church. 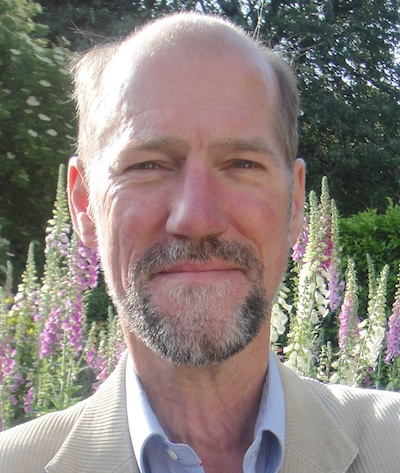 Martin Palmer is a theologian, author, broadcaster and environmentalist. He is Secretary-General of the Alliance of Religions and Conservation (ARC), a secular non-governmental organisation founded by His Royal Highness Prince Philip in 1995 to help faiths to develop environmental and conservation projects based on their own beliefs and practices. He is the author of more 20 than books on religious and environmental topics such as Faith and Conservation, Travels through Sacred China, The Atlas of Religions and has edited many books including The Times Atlas of The History of World Religions. His work on sacred sites worldwide has won awards and his book Sacred Britain has been a best seller. He advises UNESCO on World Heritage sites and helps the World Monuments Fund with protecting endangered sacred sites. He is also a renowned Sinologist and is one of the foremost translators of ancient Chinese texts, having published translations on the Tao Te Ching (sometimes spelt Dao de Jing) I Ching (I Jing), Chuang Tzu (Zhuang Zi) and Kuan Yin. His translation of Chuang Tzu was chosen for the Penguin Classics lists. He has also translated all the early Christian texts in Chinese, dating from the Tang dynasty (618 - 907 AD) in his book The Jesus Sutras. Martin frequently appears on radio and television, and is a regular contributor to the BBC. In 2007 he was appointed as a co-chair with United Nations Development Programme on the programme of Long-term Faith Commitments to a Living Planet. He is also the Director of the International Consultancy on Religion, Education and Culture (ICOREC), which specialises in religious, educational, environmental and development issues. Martin Palmer presented our fourteenth object, The 'Nestorian Stone' or Church of the East Stele, on Thursday, 6th September in Deddington Parish Church. 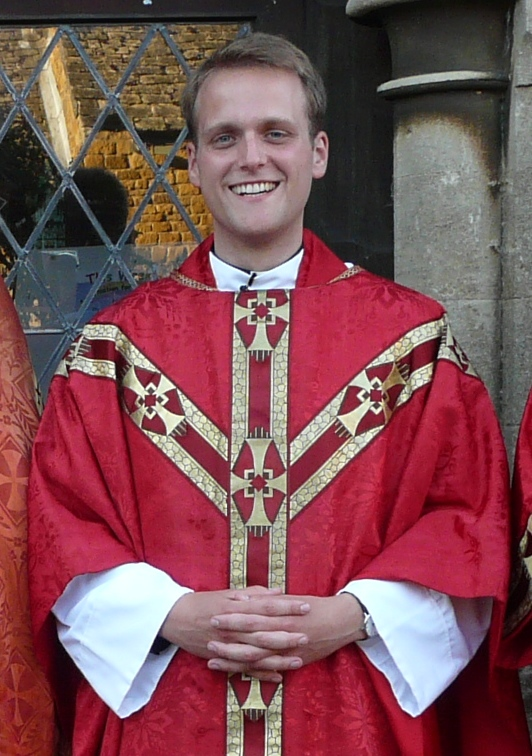 Daniel Inman is Assistant Curate in the Deddington Benefice, where he has been since his ordination in 2010. Prior to ordained ministry, Daniel studied Theology at the University of Oxford, gaining his DPhil in 2009, and his research interests are in the institutional history of theology and secularization. The Rev'd Dr Daniel Inman presented our fifteenth object, Statue of Christ the King, Swiebodzin, Poland, on Thursday, 20th September in Deddington Parish Church.